When I was six years old, I had a nightmare. I have never forgotten it, even all these years later. In the dream, I stood at the edge of a deep indoor pool. I was alone, and knew something wasn’t right. For one thing, my two older brothers were supposed to be watching me–but they were nowhere to be seen. I called out their names. but the only reply was the reverberating echo of my voice as it bounced off the walls. When I called their names again, and still received no answer, I became worried. I instinctively knew they were in trouble, perhaps deadly trouble–trouble that lurked beneath the surface of the water. I looked into the pool–I couldn’t see the bottom. I shook my head. How could I not see the bottom of an indoor swimming pool? Nervous, thinking about the warnings I had received from my parents never to dive into a pool unsupervised, I jumped in. As soon as I went under, I realized I had somehow switched locations. I was no longer in a pool. I was in an ocean, surrounded by coral and strange, green plants undulating in the current of the water. Sharks swam past, menacing, threatening. But where were my brothers? How would I find them in this vast expanse of water? I started to swim, but then realized, horrifically, that I wore no underwater gear. I couldn’t breathe! I raced for the surface, kicking and thrashing, passing exotic fish along the way, wondering if I would make it. I never found out. As my lungs burned and my heart thumped in my chest, I woke up–gasping, out of breath. I raced down the hall and looked into my brothers’ room, just to make sure they were all right. I wondered if I would experience the same dream when I fell back asleep. I didn’t. I never had another dream like it. What did the nightmare mean? I’m not sure. But even to this day, the memory of it is so real–as if it really happened. And, in a way, perhaps it did. 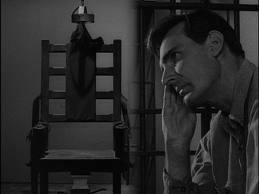 In a second-season episode of The Twilight Zone titled “Shadow Play,” a man named Adam Grant is sentenced to the electric chair for first-degree murder. When the judge issues the verdict, Grant screams, “No! Not again! I won’t die again!” Adam Grant, you see, believes that this is all a dream, a recurring nightmare he experiences every time he falls asleep. In his dream, he is always sentenced to die by electrocution–and the judge always says the same exact thing. Grant actually mouths the judge’s words as the verdict is spoken. Grant tells everyone that if they electrocute him, they will all cease to exist. Since they are merely figments of his dream-imagination, they will vanish into nothingness when he dies in the chair and wakes up. One person who believes in the possibility of this story is the local news reporter. 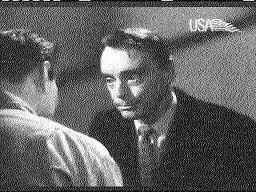 After the courtroom scene, he visits with the DA, Mr. Ritchie, and talks to him about Grant. He says Grant’s dream theory makes a weird sort of sense. Maybe this is all just a dream. “Can we prove he’s wrong?” he asks. Ultimately the reporter urges the DA to visit Grant in his cell–to talk things over with him. Reluctantly, he agrees. 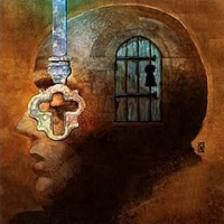 Ritchie is escorted to Grant’s cell and begins talking with him, trying to get him to see reason. It doesn’t go the way he wants. Grant tells the DA that things are all wrong here. For example, he was tried and sentenced the same day. “It doesn’t work like that!” But in a dream, it can . . .
Ritchie, growing flustered, asks Grant why he doesn’t just sit back and enjoy his electrocution. If it’s all just a dream anyway . . .
That night, at the stroke of midnight, Adam Grant is electrocuted in the chair. As the switch is pulled, the scene shifts to the DA, his wife, and the news reporter. They vanish, one by one, just as Grant said they would . . .
Another scene shift. We are back in the courtroom, and a judge is sentencing Adam Grant to die in the chair for first-degree murder. It’s the same exact scenario as the one we saw at the beginning of the episode. Grant was right all along. 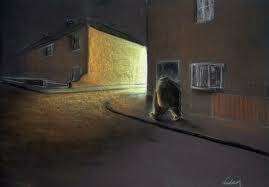 It’s the next night, and he is asleep again, dreaming–an endless nightmare that won’t let go . . . This is certainly a theme explored deeply in The Eye-Dancers. Throughout much of the book, the four main characters wrestle with the question: Is this all a dream? Or is it really happening? And is there any difference? 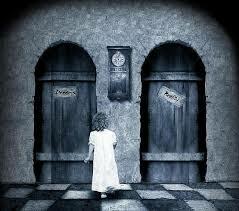 The “ghost girl’s” visitations, the journey through the center of her eye into the endless blue void. The variant world of Colbyville. What is real? In chapter seven, when Mitchell Brant, Joe Marma, Ryan Swinton, and Marc Kuslanski find themselves in a strange new place, they try to figure this out. Returning to “Shadow Play” . 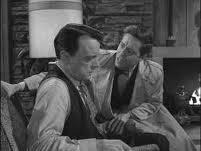 . . and Rod Serling’s closing narration . . .
What motivates us to create something? If you’re a painter, why do you paint? If you’re a chef, why do you experiment with new recipes? And if you’re a writer, why do you write? There are many answers to these questions, of course. Perhaps you want to paint a beautiful scene, something that inspires you. Maybe you want to mix in various ingredients that, at first blush, do not seem to mesh but you strive to complement the yin with the yang. And maybe you want to write a personal essay, a brutally honest and difficult piece dealing with an old wound. But what if you are seeking recognition from others? You want your painting to be showcased in a gallery. You want your recipe to be featured in a magazine. You want your novel to be the next big thing. What then? 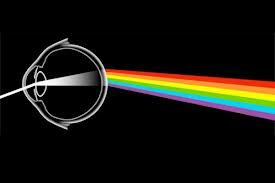 Before you begin, do you step back, analyze the market, pick and sift through possibilities, trends, genres? Perhaps. It depends. 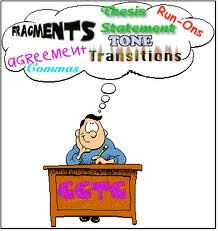 Since I am a writer, and not a painter or a chef, I can speak from experience only about writing. 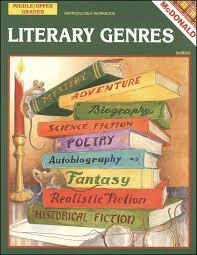 And let’s take a look at that word–genre. When I published The Eye-Dancers, the various retail sites where it’s available all required basic information regarding the book. Obviously, these details include author name, sale price, blurb, and things of that nature. But they also required a genre, a label, if you will, with which to tag the work. Let me step back. At the point of conception, when The Eye-Dancers was only an idea, a potentiality, with no guarantee that it would ever be completed, did I think of and consider the book’s genre? Yes and no. I did not select a genre ahead of time and say, “I want to write a book for that market.” I had a story–the story came first. But I knew the book would center around four adolescent boys, about to embark on a dimension-shattering adventure. And I knew the plot would take readers on a wild ride, complete with ghost girls, swirling, hypnotic eyes, dreams that are much more than “just” dreams, and alternate worlds and endless blue voids. Given all that, the novel was clearly Young Adult Science Fiction/Fantasy. Or is it? Since the protagonists in question are twelve years old, some would further classify the book as middle grade. When I summarized the plot to a friend, he said, “Yeah, but remember, most young adult readers like to read up, not down. Why don’t you make the characters seventeen instead of twelve? And girls read more than boys. Maybe you should make one of your main characters a girl.” I just shrugged my shoulders. If this were a purely marketing project, perhaps he had a point. The problem is–ideas don’t work like that. Creativity doesn’t work like that. I have tried to alter ideas before for reasons other than the story. It never works. The Eye-Dancers is a story about Mitchell Brant and Joe Marma and Ryan Swinton and Marc Kuslanski–all boys. And all preteens. That’s how the story came to me. That’s what I had to write, and to share. Apart from the issue of the characters’ age and gender, there is also the sci-fi/fantasy element. But there again, is it science fiction and fantasy? Of course it is. 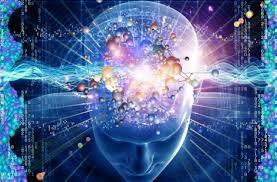 The premise is based on parallel worlds and quantum physics and the ability to communicate across the void. And yet–to me, at least, to classify The Eye-Dancers as strictly sci-fi/fantasy doesn’t tell the whole truth. For instance, there are many mainstream aspects to the story. One of the driving forces that urged me to write The Eye-Dancers was a desire to get inside the four main characters’ heads–to present them as three-dimensional, flawed individuals who are thrust into a dangerous and life-altering predicament, one that will force them to confront their own insecurities, biases, and points of view. This is true of so many novels. Today, more than ever, we like to put a sticker on the fiction we read. Steampunk. Dystopian. Urban Fantasy. Soft Sci-fi. The list goes on and on. Such labels have a purpose, of course. They serve as guideposts to would-be readers, telling them ahead of time what to expect. If a genre (or subgenre) tends to have several dos and don’ts attached to it, a reader feels safer purchasing a book in one of his or her preferred categories. At the same time, so many stories cross multiple genres. 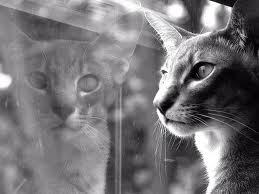 Reading a novel is often like looking through a window, but also, simultaneously, seeing your reflection in the glass. On the one hand, you are peering into a new world, complete with imaginative vistas and unexpected twists and turns. On the other hand, the characters in the story share some of your own struggles. When you laugh with them, cry with them, care about them, you do that because they speak to you on some innate and mysterious level. 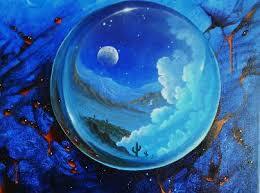 The window into this “other” fictional world has, in turn, become a mirror, reflecting your own. It is certainly my hope that The Eye-Dancers can create in readers this window-and-mirror duality. For the twelve-year-old who knows, firsthand, what Ryan feels when he desperately seeks favor and fears rejection, sure. But also for the fifty-three-year-old office worker who recalls his own struggles in middle school; for the thirty-four-year-old engineer who often looks at her universe with the same logic-oriented lens as Marc; for the ninety-year-old great-grandmother who remembers her first kiss, all these years later, and is right there with Mitchell when he experiences his. It seems to me that writing about adolescence is not a narrowly defined subgenre at all, but rather, it addresses a period of life that we’ve all gone through, can all remember, and can all relate to. 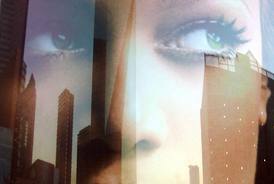 Is The Eye-Dancers a Young Adult Sci-fi/fantasy novel? That’s what it says on Amazon. Heck, that’s what it says in the headline of this very website! But, first and foremost, I believe it is what any creative writing project should be, above all–a story. A story that came to me, unasked for, unplanned. In the first-ever episode of the iconic, long-running television series Little House on the Prairie, titled “A Harvest of Friends,” farmer Charles Ingalls and his family move to Walnut Grove, Minnesota. Immediately, Charles gets busy, working several jobs, until he can bring in the harvest. But then misfortune strikes, and Charles loses money and breaks his ribs in a fall. As things deteriorate from bad to worse, and it appears the Ingalls may lose their farm, the community of Walnut Grove steps in and helps the family through to the harvest. 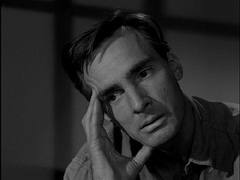 As the episode ends, Charles realizes the truth. Yes, he will keep the farm, and yes, his crops will grow and the family will make it, after all. But, more than anything, the real harvest is one of new friendships and community support. I have said it before, and will say it again. When I began The Eye-Dancers site late last summer, I had no idea what I was getting into–I had never blogged before. All I knew at the time was that I wanted to create a website to help get the word out regarding my new young adult sci-fi/fantasy novel, The Eye-Dancers. Beyond that, I didn’t know what to expect, and didn’t know what the response would be. 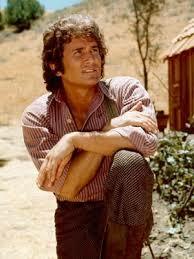 Like Charles Ingalls when he moved to Walnut Grove, I have quickly discovered what a great community I have joined. 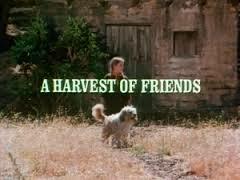 A harvest of friends, indeed. Today The Eye-Dancers has reached the 1,000-follower milestone, and so it’s a perfect time to say thank you to each and every one of you. I am honored that The Eye-Dancers has been nominated for more blogging awards–The Most Influential Blogger Award, The Wonderful Team Member Readership Award, and The Interesting Blog Award! But first, a shout-out to Kavita at Talking Experience for nominating The Eye-Dancers for the Tag You’re It! Award; the Ambitious Poet for nominating me for the Liebster Award; and Kristy at Family, Friends, and Everything in Between for the nomination for the Shine On Award! I was lucky enough to have received these awards previously, but I wanted to encourage everyone to visit these wonderful blogs! 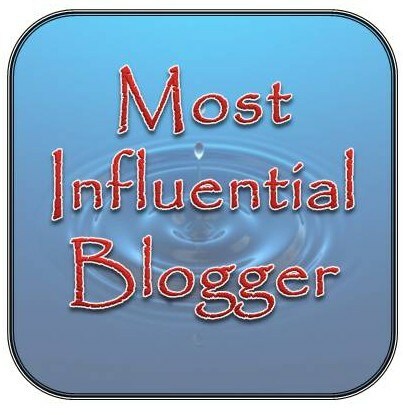 A hearty thank-you to Samina at Samina’s Forum for police support for nominating me for a Most Influential Blogger Award. It is a privilege being nominated for an award like this from someone who has such an influential blog herself. Thanks you, Samina! The rules for the Most Influential Blogger Award are as follows . . . Nominate (no limit on the number of nominations) [an aside–this is good, since, for this one award, I am not technically breaking the rules!] other bloggers for this award and link back to them. 1. If you could create your own planet what would it look like? A. 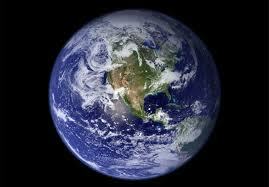 It would look a lot like Earth. Our planet is full of natural wonders and variety. I think it would be difficult to create a more naturally beautiful planet. 2.If you could visit one nation you have never visited before. What nation would that be? 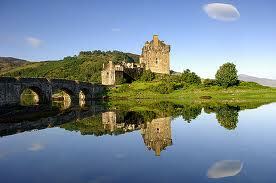 A. Scotland, probably. But it’s hard to choose just one! 3. 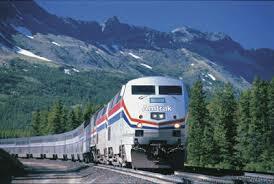 Have you ever taken a long distance train trip? A. I have! From Rochester, New York, to Denver, Colorado . . .
4. What is something you would collectively change about humanity? A. I don’t really have one that stands out, head and shoulders, above the rest. It’s hard to choose just one! 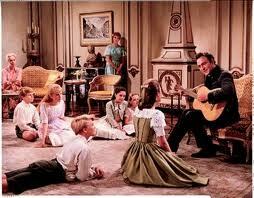 I have always loved the song “Edelweiss,” from The Sound of Music. And I enjoy some of the classic ’50s songs–“Only You (And You Alone)” by The Platters, for example. 6. If you could meet one person who is still alive who would you choose to meet? A. The person around the next corner. I wouldn’t know who they are until I meet them . . .
7. 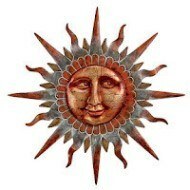 If you could choose one symbol to represent you, what would that symbol be? Why? A. Probably an image of the universe–something vast, infinite, mysterious. 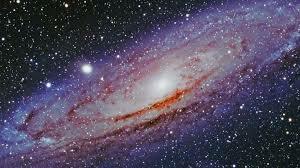 I always want to keep searching for the unknowable, and reaching for the stars . . . Thank you very much to Joseyphina at Joseyphina’s World, Lisa at She’s Losing It!, and Katie at the D/A Dialogues for nominating The Eye-Dancers for the Wonderful Team Member Readership Award! You all have great blogs, and I very much appreciate the nomination! The Nominee shall name his/her Wonderful Team Member Readership Award nominees on a post or on posts during 7 days. 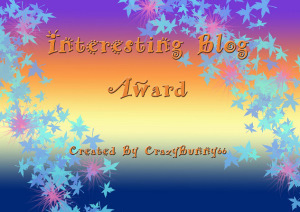 And another thank-you is in order to Katie at the D/A Dialogues for nominating me for an Interesting Blog Award! If you haven’t checked out Katie’s site, please pull up a virtual chair and do. It is a delightful, fun, and very engaging place to spend some time! Thank person who nominated you. List 5 random facts about yourself. Answer the 5 questions the blogger awarding you The Most Interesting Blog Award asked you. Ask 5 questions of your own to nominees. 1. When I was a kid, I never had to move. In fact, even to this day, my parents still live in the same house where I grew up. That’s a rare and special thing these days, and it makes “going home,” when I visit Rochester, NY, that much better. 2. 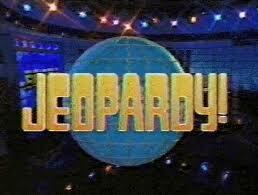 One of my favorite all-time shows is Jeopardy!. I remember, growing up, I would watch it with my parents, and we’d try to guess the answers to the questions. Or, seeing that it is Jeopardy, the questions to the answers! Like any true geek, I used to keep a personal scorecard, tallying up how many questions I got right, each show, every week . . .
3. 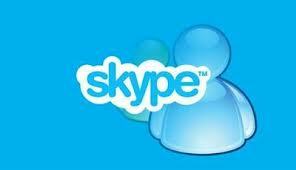 I have never Skyped! 4. I am an introvert by nature, very much an observer. I’m fascinated watching people–at parties, out on the street, at work, in stores . . . And I have always loved to listen to conversations–the manner in which people talk, their accents, their pet expressions. It never gets old. 5. I do not like heights! I wouldn’t say I’m terrified of them, but I avoid high places if I can. You will not find me up on the roof! Any time a decided underdog has stood up to, and bested, the favorite. If you could eat one food item for the rest of your days, what would it be? Easy. 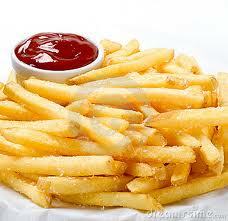 French fries and ketchup! Honestly, I can’t choose just one. I was lucky. I had a wonderful childhood, all in all, and I am always grateful for that. If a madman in a box whisked you away and said you could go anywhere and anytime in the universe, what would you choose? Tough choice! 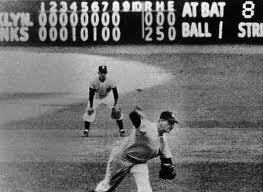 But if I had to choose just one, I would like to have the best seats in the house in Yankee Stadium on October 8, 1956, the day Don Larsen pitched the only perfect game in World Series history. If training, ability, and money were not an issue, what would you like to be when you grow up? A best-selling novelist, of course! 2. Country music or heavy metal? 3. 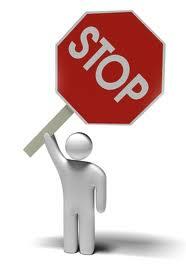 You have a chocolate muffin and a piece of cherry pie before you, but you can choose only one. Which do you choose? 4. What city, anywhere in the world, would you like to visit and why? 5. There is a zombie movie on one channel and a James Bond movie on the other. Which do you watch? Rule-breaking time! I would like to nominate all of my followers for the above awards. If you want to accept all of them, please do! I hope you do! Or perhaps you’d only choose to accept one or two of the awards. Or none. It doesn’t really matter. What does matter is that you know how much I appreciate your comments, feedback, and support. You are the ones who make blogging fun and worthwhile. I thank you, very much, for reading these ramblings of mine! High praise indeed from a man who saw, firsthand, many of the game’s all-time greats. Who was he talking about? Babe Ruth? Willie Mays? Ty Cobb? Joe DiMaggio? No. He was talking about Pete Reiser. Call it what you will–luck, fate, poor decisions, destiny . . . but Pete Reiser’s career is one of those classic “what-if” stories. What might have been if only . . . ? Then again, what might have been is clear. Because, from all accounts, Pete Reiser was the greatest natural talent ever to step foot on a baseball diamond. 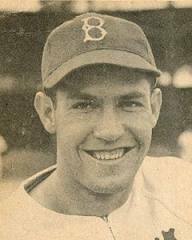 In 1941, his first full season in the Majors with the old Brooklyn Dodgers, Reiser, then twenty-two, batted .343 with a league-leading 39 doubles, 17 triples, and 117 runs scored. His .343 average was good enough to win the National League batting crown. He was the swiftest player in the league, a brilliant outfielder with a powerful throwing arm. He was such an accomplished outfielder, in fact, that opposing players would stop what they were doing to watch him catch fly balls and then fire them back into the infield during practice drills. 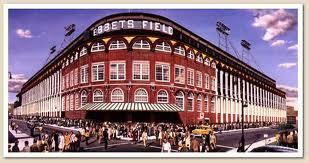 The future beckoned, surely rich with promise, World Series triumphs, awards, and, ultimately, an invitation to the Baseball Hall of Fame. When he played center field, Reiser would crouch into his defensive stance just before the pitch and think to himself, “Hit it to me. Hit it to me.” He wanted to make every catch, be in on every play. He was the best athlete on the field, and he knew it. Everyone did. Not only did he play the game with grace, power, and supreme skill. He played hard, and was known throughout the league for his diving, acrobatic catches. This never-say-die attitude, however, became his undoing. Pete Reiser was carted off the field eleven times in his too-short playing career. Determined to get to every ball hit anywhere close to center field, he had a bad habit of racing into outfield walls. He was even given his last rites once at the stadium. The play that effectively ended Reiser’s career occurred in 1942. Trying to flag down a line drive, Reiser slammed into the concrete center-field wall, head-first, at full speed. Somehow, he managed to get up, retrieve the ball, and throw it back into the infield, before collapsing. He suffered a severe concussion and a fractured skull. Doctors told him not to play the remainder of the season. But, four days later, upon his release from the hospital, Reiser suited up, and played. He was never the same. He played several more seasons, and had a couple of decent years, but he was a shell of his former self. 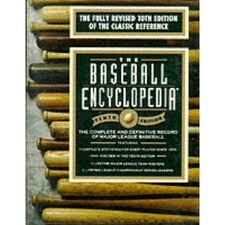 His career statistics are mediocre, easily ignored when flipping through the pages of baseball history. What could have, and probably should have been the greatest player in the history of the game is now a forgotten anecdote, a small annotation in the bibliography of the twentieth century. In many ways, it can be stated that Pete Reiser’s career was cut short because he tried too hard. At first blush, such a statement seems ludicrous. How can anyone try too hard? Aren’t we supposed to try hard? But Pete Reiser was reckless when he should have been wise. An admirable trait, perhaps, but a self-defeating one nonetheless. I think any writer can relate to this. I know when I wrote The Eye-Dancers, there were days when I would agonize over the flow of one lone paragraph, or the wording of a single sentence. 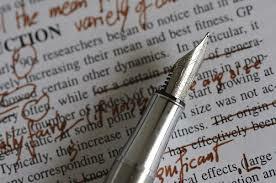 I would sometimes obsess over a word choice, the beat and rhythm of a sentence, the way one paragraph led into another. No piece of writing is perfect. 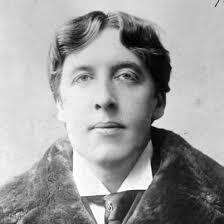 We often say, “Make your writing as perfect as it can be before submitting it for publication”–but sometimes we overlook those four crucial words–“as it can be.” Not “perfect.” But “as perfect as it can be.” Granted, we can spend a day as Oscar Wilde did. We can hem and haw over every verb, every exclamation point, every semicolon. We can spend decades editing our work-in-progress. But eventually, you reach a point of diminishing returns, and your work can then actually suffer due to overwork and fatigue. It is the hardest thing for any writer (we are usually our own worst critics) to state: “It’s finished! 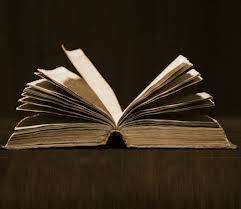 My story is ready.” But these are words we have to be able to say. When you know, objectively, that you have put as much effort into a story as you reasonably can, it is finished. Will there be flaws? Absolutely. Hamlet has flaws. The Great Gatsby is imperfect. Everything is. But–will it be well crafted? Will it resonate and engage readers? Move them, make them want to keep reading, make them care? These are the questions that matter. Working hard is one thing. Taking the time to edit and re-edit and re-edit again is essential. 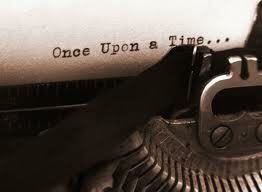 Generally speaking, when a story seems finished, it isn’t. There is still work to do, mistakes to clean up, inconsistencies in character and plot to correct. 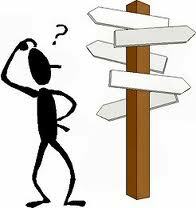 Settling for anything less, looking for shortcuts and end-arounds will sabotage the story and rob it of its potential. No arguments there. 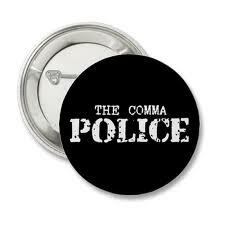 But if you find yourself debating the merits of a comma all morning long . . .
. . . or sprinting headlong toward a concrete wall, there really is only one thing left to do . . .
One blustery, Upstate New York fall day, in the last, waning years of the twentieth century, a Creative Writing Workshop professor presented her class with an impromptu exercise. I happened to be a student in that class, and I remember the exercise well. The professor offered the following fictional scenario . . .
A husband comes home late from work. He has been arriving home late for weeks now. In the beginning, his wife was understanding, patient, but lately she’s been protesting, asking him why on earth he never comes home on time anymore. But on this night, his wife is not there. The house is empty, silent. Only the cat greets him. From this brief synopsis, we were tasked to craft the first line of the would-be story. Only the first line. My professor’s point that day was simple–the opening line of a story is critical. It can grab a reader by the hand and never let go, propelling the story forward with a rocket-fueled thrust. 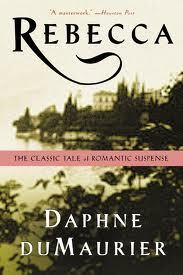 Or it can be a ho-hum affair, fail to intrigue, and threaten to dull a reader’s interest from the outset. Throughout literary history, there have been many memorable and captivating opening lines. 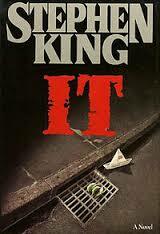 I have always liked the first sentence in It, by Stephen King. It is an epic, gargantuan novel, and the first words set the tone, letting readers know they are in store for something huge . 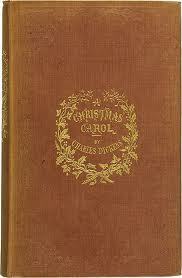 . .
And how can anything top the famous first sentence from Charles Dickens’ A Christmas Carol? — “Marley was dead: to begin with.” I have to say, this is my all-time favorite opening line. A story can begin anywhere. You can begin at the beginning–the first chapter in David Copperfield is titled, “I Am Born.” You can intentionally start a story with a slow, uneventful opening, lulling your readers into a stupor before shocking them later on. (This is a daring tactic, as you risk losing your readers altogether. One story that accomplishes this well, however, is Shirley Jackson’s “The Lottery.”) Or, more common, and generally most effective, you can begin in medias res, “in the middle of things”–drawing your audience in with a frenetic or emotional or action-packed scene. There is no question that beginnings can be daunting. You have your idea, perhaps very well developed, but now, as you sit at the computer, as the cursor blinks back at you, there is nothing but a blank screen to look at. You are starting from scratch. You want the scene to be perfect, a springboard for the rest of the story. As is so often the case in creative pursuits, there is no one right or wrong approach. Your options are as broad and tempting as an all-you-can-eat dessert buffet. 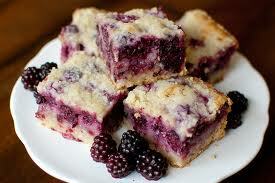 But, among the raspberry pie bars, chocolate muffins, brown butter cakes, and cherry tarts, you can choose only one. When I wrote The Eye-Dancers, I knew immediately how I wanted to open the story–with Mitchell Brant looking through his bedroom window in the middle of the night and seeing the “ghost girl” standing in the street, beckoning for him to come to her. It was a scene I had dreamed of myself years earlier, and it was the impetus for the entire novel. 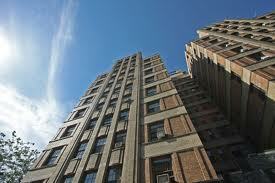 “Peering out his bedroom window, his eyes flattened into squinting slits, Mitchell Brant saw her. It is certainly my hope that this opening creates a mood, a sense of foreboding and dread. Who is this girl? And why does Mitchell respond to her in this way? If it works, you will want to continue reading in order to find out. If it doesn’t . . . I will have lost you before the story even has a chance to begin. There are places in any long work where the story necessarily slows down. Few readers will cast a book aside in disgust while leafing through a less-than-thrilling scene in chapter twenty-seven. By that time, the story has earned their trust, they are invested in its characters, its outcome. Not every paragraph can be a masterpiece. There are, by design, edge-of-your-seat high points and calm interludes in any novel. Or, to put it another way (and yes, I’m hungry as I write this), it has to be a raspberry pie bar you can really sink your teeth into.